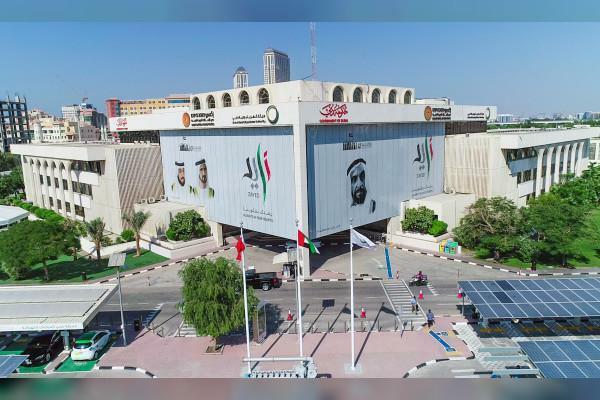 DUBAI, 10th April, 2019 (WAM) -- Dubai Electricity and Water Authority, DEWA, is partnering with Canadian company Enbala to build the region's first Virtual Power Plant, VPP. A VPP is a smart network of distributed, small and medium scale generation units such as solar photovoltaic, battery storage and flexible loads. The aim is to increase the visibility of distributed energy resources, DER, and maximise their value by providing grid services such as peak shaving, frequency regulation or energy balancing. The pilot VPP is a result of a fruitful research collaboration between DEWA's Research and Development Centre at the Mohammed bin Rashid Al Maktoum Solar Park and Enbala. It will act as a platform that aggregates selected distributed energy resources and manage the mixed portfolio as a single conventional power plant connected to the grid. The advanced technology uses Artificial Intelligence (AI) to enable integration of various types of energy into DEWA's smart grid. "We are working to achieve the vision of His Highness Sheikh Mohammed bin Rashid Al Maktoum, Vice President and Prime Minister of the UAE and Ruler of Dubai, to make Dubai the smartest and happiest city in the world, and fulfil the objectives of the UAE Centennial 2071, the UAE Vision 2021, and the Dubai Plan 2021 to make Dubai a smart and sustainable city. In line with DEWA's vision to become a globally leading sustainable innovative corporation, we seek to shape the future of the local, regional, and global energy sectors. We will do this by keeping pace with the Fourth Industrial Revolution and adopting innovative disruptive technologies to anticipate and shape the future of energy. The virtual power plant will increase renewable energy integration capabilities, supporting the Dubai Clean Energy Strategy 2050 to produce 75 percent of Dubai's total energy from clean energy sources," said Saeed Mohammed Al Tayer, MD & CEO of DEWA. "Within the world of distributed energy management, this is a very exciting and game-changing project. We are honoured to be a part of this far-reaching initiative that is sure to take energy sustainability to new levels. The world will be watching DEWA's clean energy initiatives with great interest," said Trent Bowers, Chief Commercial Officer of Enbala.